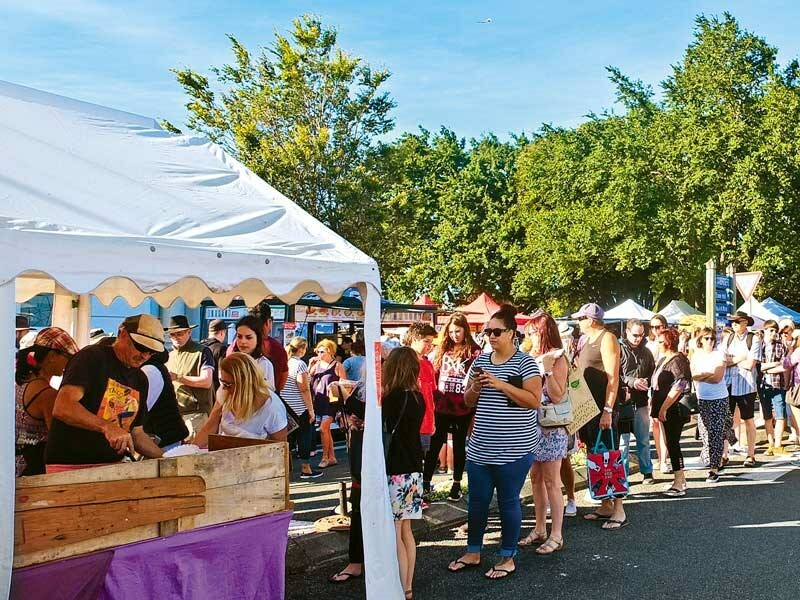 The crowds were as thick as ever at the annual Martinborough Fair a few weeks ago. They jostled to reach the stalls, loitered under the trees, and formed long queues in front of the food caravans. None, however, were as long as the one snaking slowly towards the ‘stall of the 20 frypans’. It was as long as a bread queue in a famine. 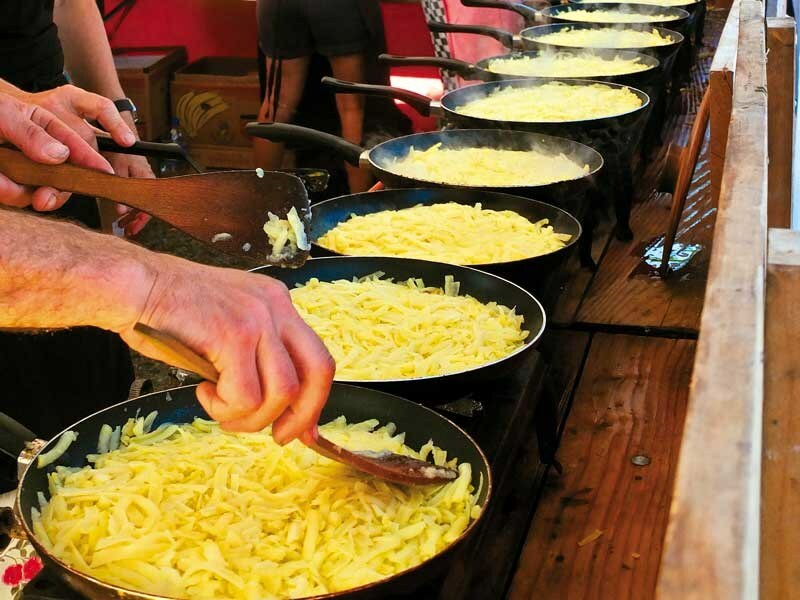 In their temporary kitchen, six or more cooks were sweating it out on the production line, making pan after pan of a traditional Swiss dish known as roesti, which was obviously the food hit of the show. I decided if I had to stand in the hot sun for the good part of an hour for a potato, I could live without roesti. The next morning we went to the quieter and much smaller Wharekauhau Food and Wine Society’s Farmers Market. This delightful gathering is held on the first Sunday of every summer month under a grove of oak trees on the Te Kairanga Vineyard. 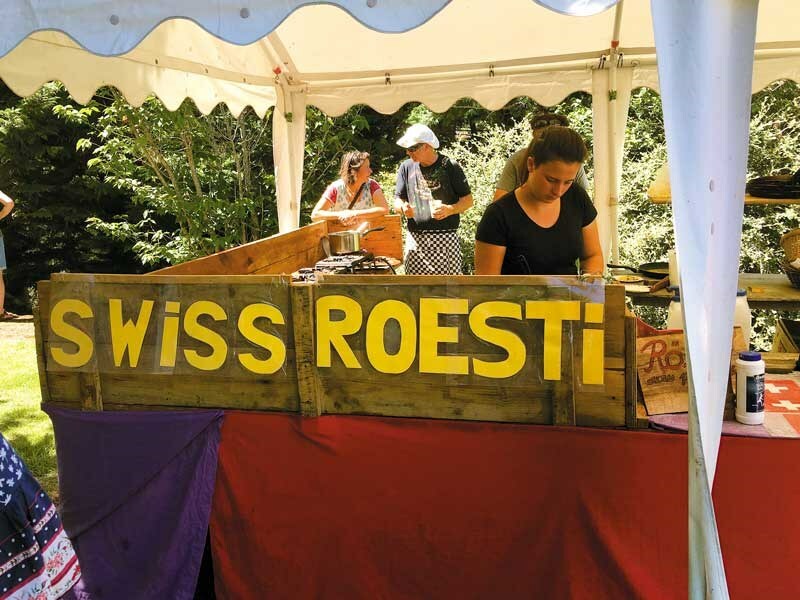 And there was the roesti stall, much diminished, only 12 frypans working, and just five people in the queue. The dish that was proving itself so irresistible was basically grated and fried potato. The stall’s owner didn’t want me to name him but was happy to tell me how it was made. Agria potatoes are peeled and boiled, then kept in the fridge to cool before being finely grated and pan-cooked in a small amount of half butter and half oil. During cooking, it is pressed with a spatula to flatten and ‘glue’ the potato shreds into a round cake. Some people add bacon but I think that would overwhelm the exquisite taste of the potato. When one side is cooked the pan is removed from the heat, covered with a plate, inverted, and the roesti returned to the pan to cook on the other side. It occurred to me that roesti is a perfect dish for making on the road—not exactly cholesterol-free, but fuss-free and delicious. My first taste, enjoyed with coffee at the Martinborough market, had me hooked.